A noticeable number of the responses to my Saturday Essay last weekend, How to resist the Remainers, appeared to find my suggestions for a peaceful, legal, non-violent civic resistance to the May government’s likely dilution, if not outright abandonment, of Brexit somewhat too robust and risky for their taste, and felt that all that was required to stop the betrayal was to start, resume, or continue voting UKIP. The question of which great democratic advances have ever been achieved, or what anti-democratic obstacles to them have ever been surmounted, without anyone taking any risks is a moot point, but one perhaps to be revisited later. But as a strategy for preventing what is arguably an imminent Brexit adulteration at best and betrayal at worst, I’m afraid that ‘Just Vote UKIP’ doesn’t cut it. In the first place, vote in what? And when? The next scheduled UK elections are the local government polls on May 2 next year. Unless the Article 50 period is extended, that is approximately 5 weeks after March 29, the date on which the UK will have, albeit probably more in appearance than in substance, nominally left the EU. 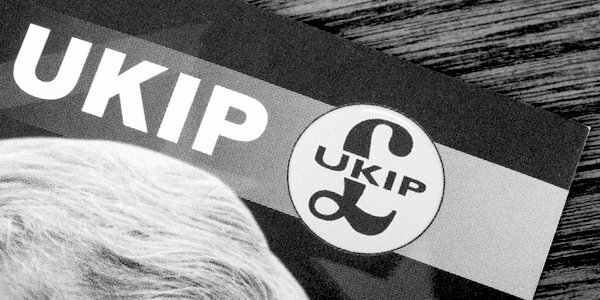 What would be the argument to persuade non-activists or non-members that there was any point in voting UKIP? And even if there were such an argument, how effective would it be? In this year’s local elections, the party lost no fewer than 123 of its 126 councillors. Next year’s are in more metropolitan-type areas where UKIP’s appeal, rightly or wrongly, is even less. Comparatively speaking, its local government base, at 125 councillors out of more than 20,000, is minimal. The next European Parliament elections are from May 23 to 26 next year: again, unless the Article 50 period is extended, approximately two months after the March 29 exit date. Even with a nominal-only Brexit on that date, the UK will no longer be sending MEPs to the European Parliament, and so will not even participate. The memories of 2014’s victory, where UKIP secured 27 per cent of the vote and more than doubled its seats to 24, are no guide to the future. If (admittedly a big ‘if’) May survives as Prime Minister, even with a small majority thanks to the Democratic Unionist party, the next general election is not due until May 5 2022, which will be four years after the projected Brexit date. We are already seeing polling reports suggesting that ordinary voters on both sides of the Leave-Remain divide are bored with Brexit, just two years after the Referendum, and before it has even happened. What appeal and chance of success would UKIP have some four years after the actual Brexit, even a nominal one? Although dissatisfaction with May’s Soft-Remain, Brexit-In-Name-Only Chequers Plan is thought to be a contributor to the recent boost in UKIP membership, the party is currently standing at an average of just 6 per cent in the polls. Under first-past-the-post, this is far too low to make an impact. In the 2015 General Election, UKIP captured 3.9million votes and 13 per cent of the total vote, but still gained only two seats, both of which have since been lost. In the second place, vote for whom? At TCW, I have previously criticised Nigel Farage for leaving the field of battle too early, but since his 2016 departure, UKIP has in effect wasted the last two years. It has gone through a credible leader and deputy leader in Diane James and Suzanne Evans, both seen off by the residual Farageistes, and two utter clowns in Paul Nuttall and Henry Bolton, before stabilising to an extent under the current leadership of Gerard Batten. However Batten’s term of office comes to an end, intriguingly, around the time of Britain’s projected exit date of March 29 2019, and Farage is hinting at a return. Interestingly, elements within UKIP are reported to be less than wholly enthusiastic at the prospect. For whom would anyone actually be voting? Moreover, UKIP’s complement of MEPs has thinned out since its 2014 high-water mark due to a couple of expulsions and several resignations. Although it retains some very good MEPs, activists and members, the appeal of a party which has succeeded in alienating and driving off plausible, articulate and media-friendly people such as Suzanne Evans and Steven Woolfe is likely to be limited. 5. A media less biased against its core policy. The prospect of a ‘Just vote UKIP to stop a Brexit betrayal’ strategy having to rely on Brexit being actually stopped or betrayed, in order to stand even a chance of success, does, I suppose, have a certain bleak irony about it. But given the several discrete steps that it would require, it looks one heck of a risk to take for people apparently deterred from any form of peaceful, legal, non-violent civic resistance by the risk, inconvenience, and temporary relinquishment of online consumerism which that might allegedly entail. Michael St George is a freelance writer arguing for minimal-state, low-tax, free-markets minarchist-libertarianism. He tweets as @A_Liberty_Rebel.